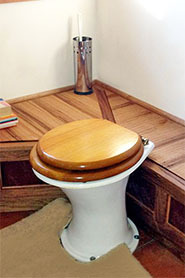 There are many situations where people want a toilet in their shed. Whether it be for that time when they are working in the shed and are caught short and need a toilet urgently, to the time when they use the shed for an office or accommodation. Many sheds are on a slab and, in those instances, they can only use toilets that are self-contained, such as the Nature’s Head©, Excelet, or Compact. There are other instances where the shed might have a raised floor. If there is a clearance under the floor of at least 650mm they can use a split system such as the Classic 650. 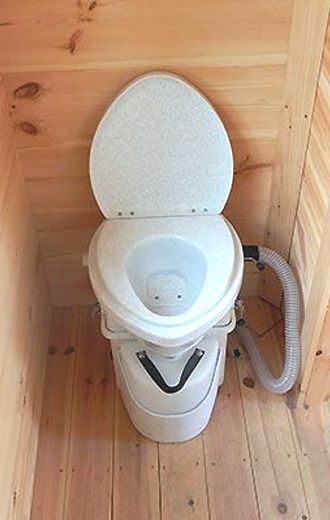 The small size, ease of installation, and reliability of the Nature’s Head© has earned it the “first choice” for those looking for a composting toilet for the shed they are building or considering. The Excelet is also a good solution for a shed. The Compact SM designed by Sun-Mar is a lower profile version of the Excel with reduced capacity and the same heating and ventilation system. It is ideal for sheds, guest accommodation and weekenders or low use work situations. 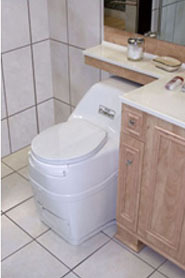 Sun-Mar is a Canadian manufacturer and one of the largest producers of composting toilets in the world. 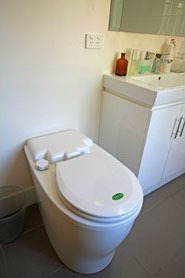 They have been producing waterless toilets for 30 years. Where people have built a shed with an under floor clearance of at least 650mm, it is possible to use the Classic 650.